Whether you are traveling to Malta for business or leisure, this Mediterranean island is one destination that begs to be explored. From its baroque churches, historic buildings, quaint villages, beautiful beaches and clear sea waters, there are a vast number of places to discover on the island. Whether you are looking for an active time or a more sedate one, there is no shortage of activities for you to engage in in Malta. Below we list some of the top things to do in Malta. Malta is known to have some of the best diving in Europe, thanks to excellent underwater visibility, beautiful marine life and a variety of caves and shipwrecks that both new and experienced divers can enjoy exploring. P29, Ghar Lapsi, Qawra Reef and The Rozi Tugboat are just some of the best dive sites on the island. If you enjoy swimming with the fishes, then diving should be a must-do if you travel to Malta. Underwater photography is a dream in the island. 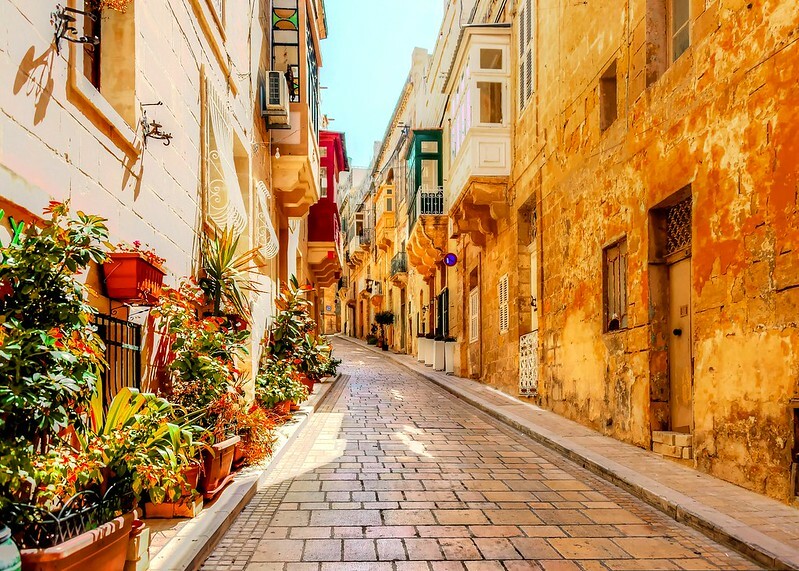 Explore Valletta, Malta’s capital city in a three-hour walking tour. Valletta, a UNESCO listed world heritage site, boasts of magnificent baroque architecture and historic sites. Admire St John’s Co-Cathedral considered one of the most dazzling places of worship in Europe. Stroll by the Grandmaster’s Palace which was built between 16th and 18th centuries and today houses the Office of the President of Malta. Other architectural masterpieces include Church of St Paul’s Shipwreck and the Auberge de Castille. Stroll through the serene Upper and Lower Barrakka Gardens and end the tour gazing out of the Grand Harbour. Nothing says yachting like a yacht cruise. Malta’s strategic location in the Mediterranean ensures that it enjoys the perfect environment for yacht lovers. It is no wonder that more yachts are berthed at Grand Harbour and the other marinas in Malta. It is important to register a yacht, whether it is for private or commercial use. With plenty of yacht services offered on the island, why not take a luxury yacht cruise taking in Malta’s beautiful historic sites. Up until mid-16th century, the walled city of Mdina was the capital of Malta and home to the country’s nobility. After the capital was moved to Birgu and later Valletta, the city was more or less forgotten. Mdina has been perfectly preserved though and a lot of things remain the same including some beautiful historic houses and majestic palaces. No cars are allowed in the city hence the name the ‘Silent City’. Visit Mdina, and go back to a time of elegance and classic beauty. Across the Grand Harbour from Valletta, lies Birgu (Vittoriosa), Senglea and Cospicua, popularly referred to as the Three Cities Founded in the 1500s, Birgu is the oldest of the three cities and is often referred to as the cradle of Maltese history. It was the first home of the Knights of the Order of St John (who ruled the country for a period) and as such houses some of the most significant historic palaces, churches and noble homes in Malta. Cospicua is the largest of the three cities and comprises a series of winding streets that feature various historical and cultural sites. Formerly referred to at L’Isla, Senglea offers the best views over the Grand Harbour. Malta is a beautiful country with lots to offer. Make sure to create great memories by undertaking the above-mentioned activities.